I have had this little set for over a month now and have been loving using all the products. I think it is great when big brands do sets like this so that you can try out miniature version of the products so you can decide if you want to buy a bigger version. I was going to write this post a lot sooner but I have been so busy with university that I haven't had a chance. My skin is definitely better since using the skincare set and I am very happy with the outcome, my skin is so soft and I would say that my pores are definitely minimized!! I'm not sure if I like the facial wash or not, it does get rid of all impurities and dirt but I feel my skin goes a little bit dry. I probably wouldn't buy it separately as I think there are cheaper face wash products out there that could do the job for half the price!! I would rate it 3/5 stars. This is a great exfoliator and the pigments are really refreshing. My skin feels great after using it and has a slight glow to it. It deserves 5/5 stars, great skincare product and a very good scrub. I think this is a very good at cleansing but I went through my small bottle very quickly and feel that it may not be the best value for money. I know Benefit is not a cheap brand but for a tonner £23.50 is a little bit ridiculous if you ask me. I love face products that hydrate my face and this does the job perfectly! !It leaves your face feeling soft, rehydrated and smelling incredible!! Great base before putting your makeup on, have absolutely adored using this!!! 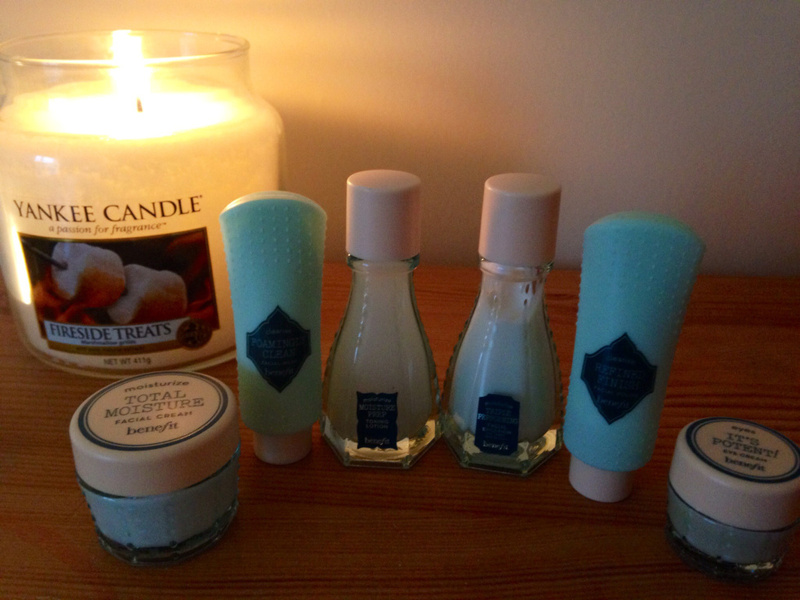 The face cream is my second favourite product in the set and I love the smoothness of my skin that I get from it. It is heaven in a pot and is now one of my all time favourite moisturisers!! :) The cream is quite thick and really does help make your skin softer, it reminds me of how my skin feels straight away after I have done a facial or scrub mask. It deserves a very high rating because it is simply awesome, 5/5. 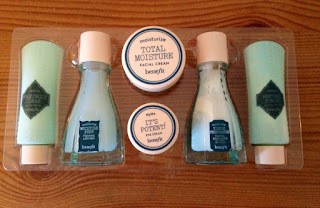 Love this little introduction set to Benefits' b.right! Radiant Skincare range and it all smells really good! 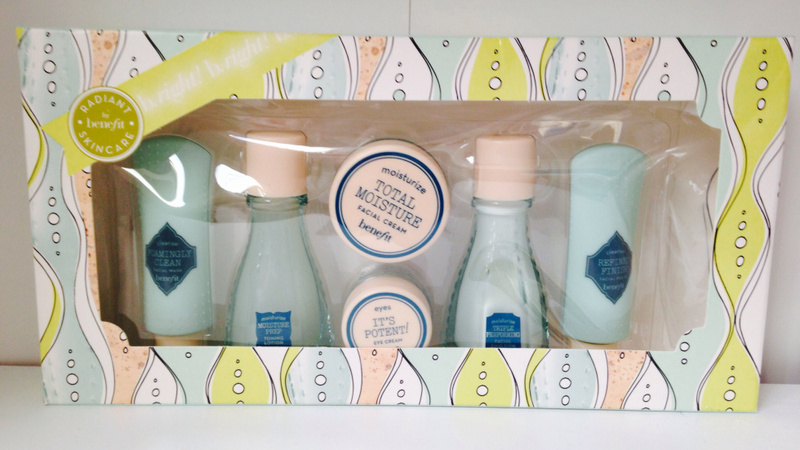 I would buy the gift set again, simply because £14.50 is a bargain and fantastic deal! 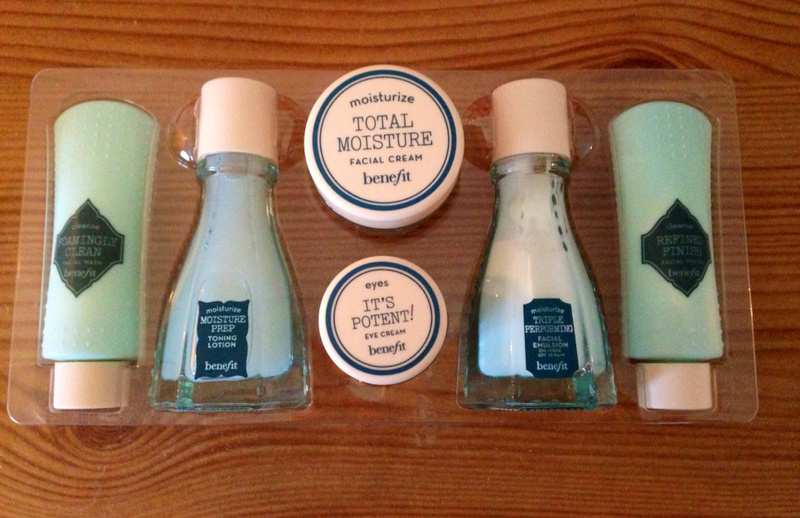 Benefit have done a good job with the set and I am impressed.